KATE TERRELL is a forty-plus-year-old woman who decides to end her long-term relationship with Ben, a nice, successful but all-too-practical businessman, finally accepting that he is not the one. Deciding to put distance between her and Ben after the breakup, Kate heads north to Carmel-by-the-Sea for a vacation that will change her life. Sam Chandler is a professor of marine biology at the University Of Maryland on sabbatical conducting research in Monterey. Part-time, he leads whale watch excursions out of Monterey Bay. Sam is a spiritual being and a lover of all nature, especially the sea, but he has led a loveless life. Kate meets Sam on one of his whale excursions, and there is an instant attraction, an indescribable magnetism, that is cemented when they share a magical moment at the sea. Despite their mutual captivation, Sam is reluctant to begin something he cannot finish; Sam has a secret. They meet again by chance the next day during a rainstorm in Carmel. It is the beginning of a course that neither can changethe beginning of a love affair that most people only dream about, filled with romance, deep love, and sexual passion. It is then surprising when, suddenly, Sam secretly flies home, leaving Kate only a note reassuring her that he loves her but cannot and will not provide a reason for his departure. Devastated and filled with doubts and unanswered questions, Kate returns home to pick up the pieces of her life. After several months and an unexpected turn of events, Kate finds her way to Sams doorstep determined to get answers. This is a story that will make you long for true love, cry over lifes ironies, but leave you hopeful for the future. It shows us how one insignificant decision can change lives forever and begs the question, what difference does a life make, and how much can you endure for love? Deborah Radwan grew up and lives in Southern California. She attended California State University and graduated with a degree in English. 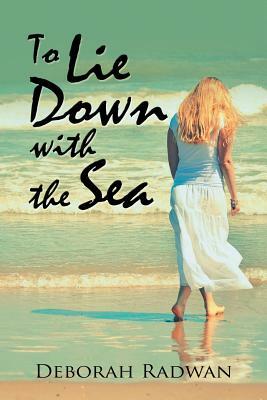 Author of The Compass, To Lie Down With the Sea is her second work of fiction.